1. Buy the half deshelled ones. 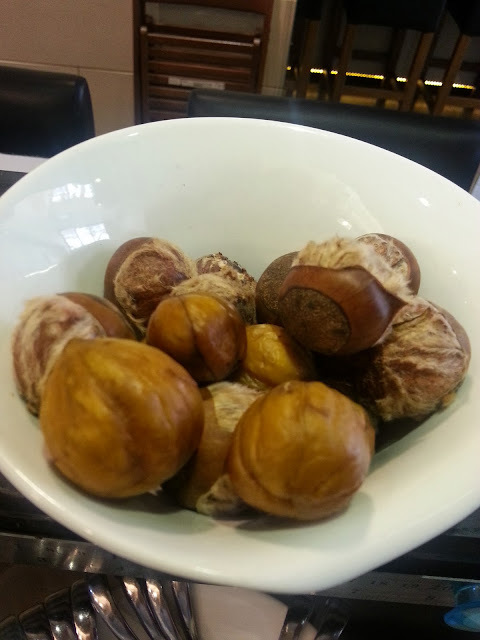 Clean the chestnuts in water. The ones that have turned bad will float on the top. 2. Put them in the oven and set the oven at 140C for 15 minutes. Try peeling a chestnut and if the shell comes off easily, take them out of oven. Otherwise, leave them in oven for another 15 minutes. 3. Take them out and peel the shells off. The shells should come off easily. If not, then that means they are not done and put them back oven for another 5 minutes. 4. If you are using whole chestnuts, you will need to slit the shell first. Otherwise the chestnuts will explode.